An undated picture of a Iranian Revolutionary Guard Corps Navy patrol craft. Iran’s recent seizure and release of the Marshall Islands flagged M/V Maersk Tigris could be what Iran claims it is, a reaction to a decade-long dispute over shipping containers that were diverted to the UAE and never delivered to Iran. More likely however, it is a thinly veiled attempt at brinkmanship to remind the United States of the kind of trouble that Iran can stir up in the Strait of Hormuz. The beef with Maersk over undelivered containers likely provided Iran with just enough plausible deniability to create an incident in the Strait of Hormuz at a time when many U.S. 5th Fleet assets were reportedly preoccupied with operations against Islamic State in Iraq and Syria (ISIS) in the northern Persian Gulf, and while monitoring the crisis off the coast of Yemen. Iran conveniently took the opportunity to exploit its unique geographic position astride the strait to put a spotlight on the strategic king on their chessboard—control of the Strait of Hormuz. U.S. naval forces are now confronted with competing requirements in the troubled region. During the Cold War the United States and the Soviet Union would ramp up military activity during nuclear arms negotiations. While political leaders met in Moscow, Washington, or Iceland, U.S. and Soviet forces would often face off in the air, on, and under the sea, and stare each other down over artillery tubes along the Iron Curtain. This brink-of-war saber-rattling became known as “brinkmanship.” The exercises were an attempt to leverage for a better position at the negotiations. Many Cold War veterans will recall that during the SALT and Intermediate Nuclear Missile Treaty negotiations, the world’s oceans were buzzing with air and naval activity. Iran’s posturing is no different. It serves as a reminder of the trouble it can cause in this strategically important region of the world. Iran’s seizure did generate a modest reaction from the U.S. Navy. As of late April, the United States began deploying warships to “accompany” (vice escorting) vessels while transiting the straits. If nothing else, this under-reported event represents the first such deliberate protection of merchant vessels in the region since Operation Earnest Will (July 1987–September 1988). The USS Farragut, an Arleigh Burke-class DDG, was reportedly sent to the straits to accompany U.S.-flagged merchants. The Maersk Tigris seizure presents a strategic dilemma for the United States, which, among other things, needs access to the northern Persian Gulf to sustain combat operations against ISIS forces in Iraq and Syria. In cooperation with Iraq’s Shia-led government, Iran is also operating against ISIS. However, it is noteworthy that Iran’s operations against ISIS are not dependent upon the sea for access to the fight. The often troublesome IRGN forces remain focused on their A2/AD mission in the Gulf. For instance, Iran’s show of force at sea really began in late February with the Great Prophet 9 exercise. This year’s exercise featured the debut of Iran’s 5/8th scale model of a Nimitz-class nuclear carrier (CVN) as the target barge and an impressive 500 speedboat pass and review in the Strait of Hormuz at the conclusion of the exercise. When U.S. satellites originally detected the CVN mock-up in early 2014, Iran claimed that the mock CVN was a set for a movie about the downing of the Iranian Airbus Flight #655 by the cruiser USS Vincennes in July of 1988. U.S. officials have always suspected that it would be used as a target barge. A trailer for the movie about the unfortunate events in July of 1988 has not yet surfaced from Iran’s film studios, but in any case, the swarm attacks during Great Prophet 9 lend clear evidence that the CVN is the grand prize target for the Iranians. Despite being reported as sunk by many sources, in mid-March the mock up CVN returned to Bandar Abbas damaged, but still afloat. It appears that Iran’s scale model CVN will be ready for a sequel in 2016. As with Cold War–era brinkmanship, the real target of Iran’s massive naval exercise and seizure of the Maersk Tigris are the political leaders who are weighing the merits of the P-6 nuclear deal with Iran. As such, this latest episode in the Strait of Hormuz should serve as a reminder that if the Iranian nuclear deal fails in a way that humiliates Iran, or leads to military strikes against Iran’s nuclear targets, access to the Persian Gulf will be, at a minimum, severely hampered for months. A more immediate strategic dilemma for the United States will be the loss of access to the northern Persian Gulf for operations against ISIS, and the United States will also lose Iran’s tacit cooperation against fighting ISIS. In short, American naval operations in the northern Gulf will no longer occur in the low threat environment that is enjoyed today. Instead, U.S. forces will face a lethal array of A2/AD threats when operating in the Persian Gulf. he sea-based fight against ISIS from the gulf will be brought to a halt for months. 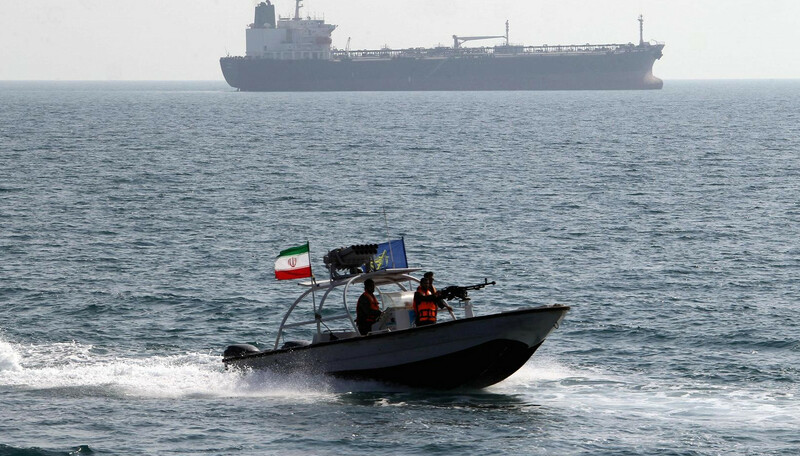 The Maersk seizure and the recent Great Prophet 9 exercise should remind U.S. leaders that Iran’s asymmetric A2/AD forces can and will exact a cost if war should come to Iran’s shores. In a growing list of bitter paradoxes confronting the United States in the region, in such a conflict where the United States “rolls back” Iran, ISIS and other Sunni extremists ironically will grow stronger as the U.S. shifts its focus to Iran. Iraq’s army will also be weakened when Iranian Shia forces that are backing them are recalled to defend their own country. Discerning what is the greatest threat to U.S. national security—Iran’s nuclear program, or ISIS—is really the pivotal strategic question. Cmdr. Dolan teaches Strategy & War with the Naval War College’s Distance Education program, and history as an adjunct professor at the University of Maine. He is a former EP-3E/Special mission P-3 naval flight officer, and frequent contributor to USNI News and Proceedings.